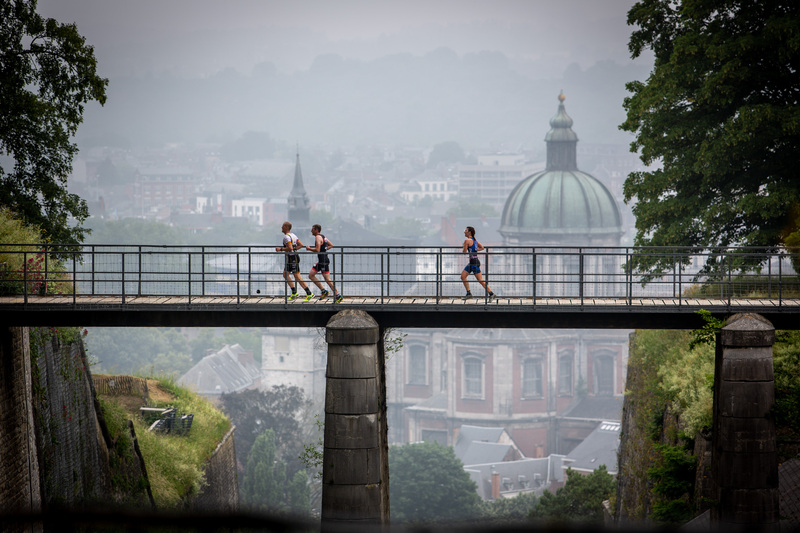 The citadel of Namur produced two new champions to the 2018 Euro tour season at an amazing race where most of our prediction where wrong, but that’s what makes XTERRA so exciting. 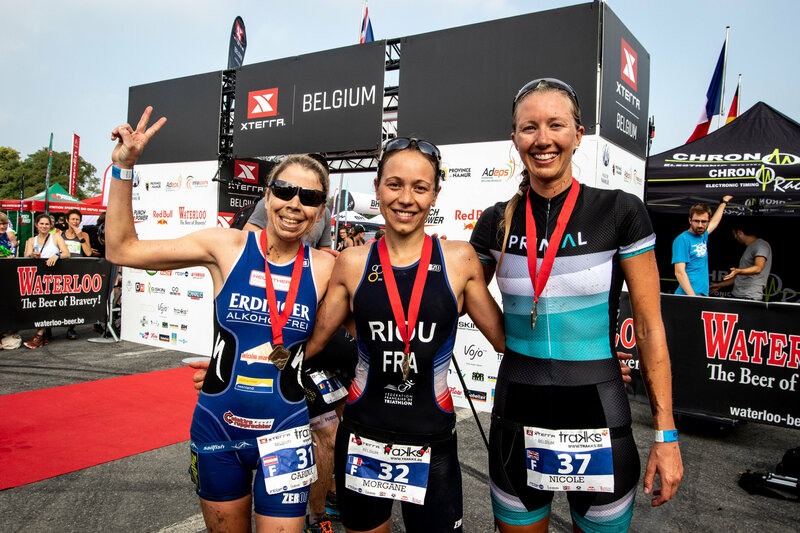 This is the second victory for François Carloni after winning XTERRA Greece in 2014 and the first in Europe for Morgane Riou. 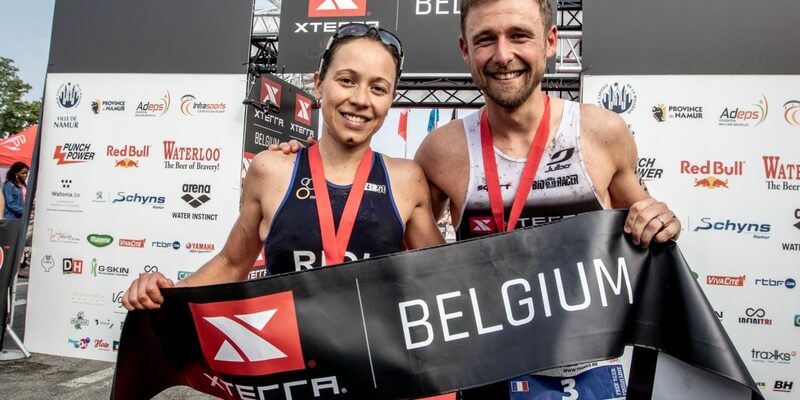 Here is the story of the day compiled by XTERRA Europe director Nico Lebrun…. 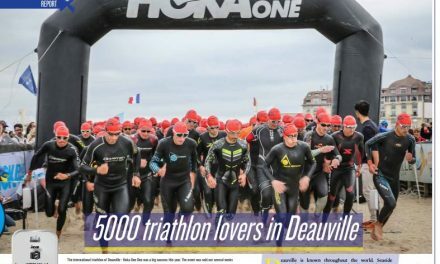 At 14:30, more than 700 athletes started the swim in the river Meuse for one big loop around the island, fighting against the strong current. First out of the water was Harry Leleu from the UK followed by the pairing of Maxim Chane and Will Crudgington, racing his first XTERRA and one of the fresh faces at 19 years old finishing 15th today. Harry sadly DNF but Maxim was on fire. 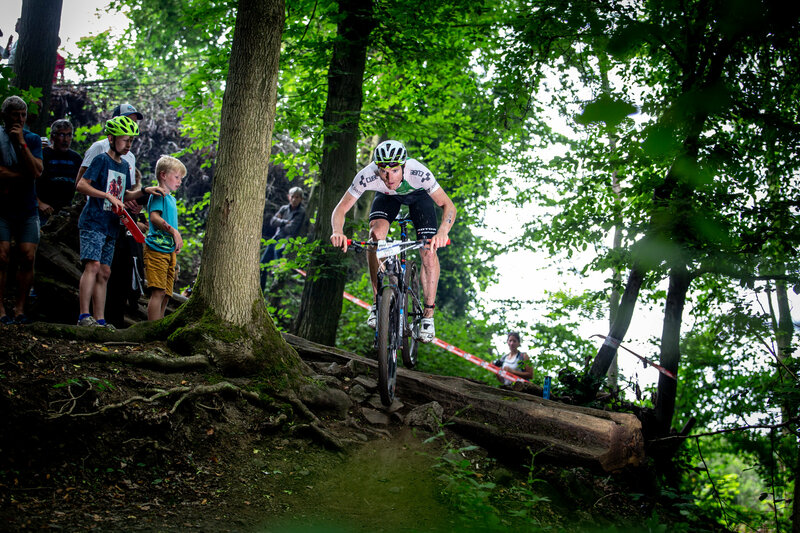 After 8km on the bike he had a big lead but then had a puncture that ended his plans for a place in the podium. Arthur Serrieres was one of the big favorites but crashed and ended up in hospital with stitches to his knee. Victory was up for grabs and Xavier Dafflon managed to get closer to the leaders making up 3 minutes out of the 5 he lost on the swim. Unfortunately, he also punctured and with that, his dream of winning in Belgium disappeared. With 3 of the big favorites out of the race, it was hard to predict who will win. 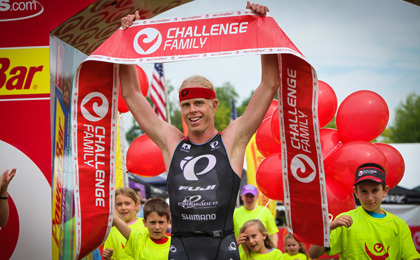 “Seeing Theo Dupras leading the bike until T2 was a big surprise for me. It looks like team TVert will still have a strong season with Forissier not racing or Serrieres out for a while” said Nico Lebrun, European Tour director. About 1min behind was François Carloni followed by Anthony Pannier who was in a good position after coming 4ththout of the water. The Belgians Geert Lauryssen and Yeray Luxem were both pushing hard on the bike in front of the hundred spectators that were creating an amazing atmosphere. Theo Dupras had the fastest bike split of the day and started the run with a 1’30 » lead on Carloni. “My legs felt empty at the end of the bike and I was not feeling that optimistic exiting T2” said Dupras. Anthony Pannier was still in 3rd at this point followed closely by the two Belgian athletes. At the start of the second loop, Carloni took the lead from Dupras who was now paying for his effort on the bike. « When I started to run I was amazed how fresh my legs felt, that’s the beautiful thing about triathlon, you never know what lies ahead » said Carloni..
Not far behind Pannier also snuggled on the last few kms, 3h of racing really takes its toll but he delighted with his first Podium. 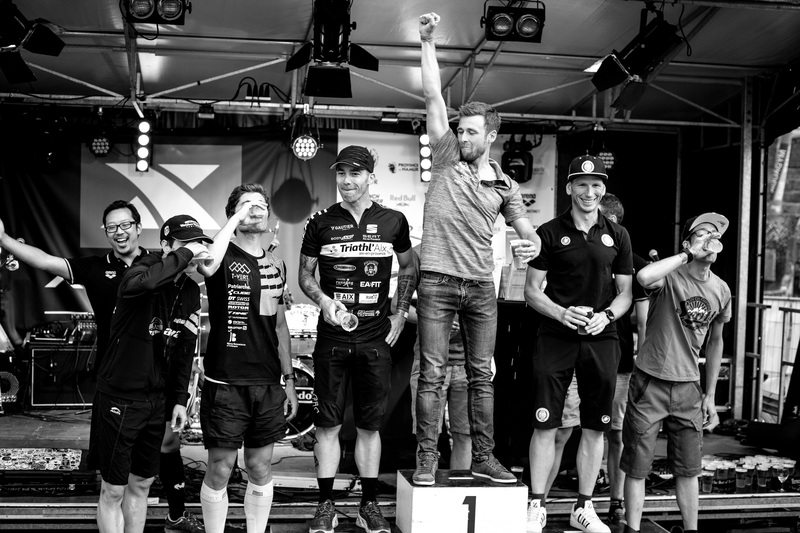 Another even happier athlete was Geert crossing the line in 3rd position « I’m so happy, my first podium, and at home in Belgium. On the last kilometer there was myself, Yeray and Theo fighting for 3rd. I had the energy to push, caught Theo and managed to pass him to reach the podium » said Lauryssen. Dupras finished 4th and Luxem 5th. In the women’s race Megan McDonald and Nicole Walters, both from UK exited the water together with Lizzie Orchard from New Zealand only 45 seconds back. 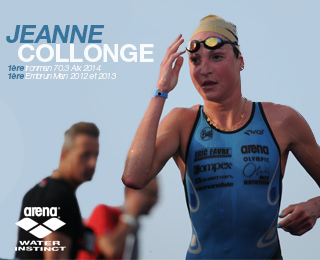 Diane Lee in 4th was 1’20 » behind, Carina Wasle 1’40 » and Morgane Riou trailing by 2’15 ». Very quickly Nicole took the lead as we have come to expect, lead almost all of the bike. Carina was second for the first part of the bike « I can feel that I need some rest after so many consecutive races, normally I love to climb but today my legs were empty” said Wasle. Starting the second loop, Nicole still had about 1’15 » on Morgane who managed to pass Carina « I had a crash and didn’t know where I was, so was little bit stressed, but when I started to see Nicole on the second loop, that was so good » said Riou. Carina was now in 3rd and loosing time. Lizzie Orchard had a bad crash and had to pull out as did many other athletes during this tough Belgian course. Finishing the bike, Morgane was just a few seconds in front of Nicole « I had a crash on the last downhill, and had to finish the bike with a crooked handle bar, not easy to ride down those steep stairs heading into transition » said Nicole. But at this point I think she realised the probable outcome of the race. Morgane is a natural runner and being here for her first race of the season she was fresh and full of confidence. With the best bike and run split of the day she crossed the finish line first. This was her first win in Europe after her victory in the Dominican Republic last year. « I’m so happy, wining here on such a big stage and against two very strong athletes, it’s a big day for me » said Riou. Nicole made her way to the finish line to claim second place. “This run loop is so nice when you do it in training but takes a lot out of you during the race » said Nicole. Carina finished third with second fastest run split, delighted with another podium, 5 in 5 races in Europe. With this Carina takes the lead in the European Tour for the first time after many years of racing, so that will be the icing on the cake for her. Nicole is now in 2nd in front of Brigitta who didn’t race today. Morgane is in 5th and close to Helena with this win. As for the men François is now leading the tour after today’s performance, Geert is back in 5th and Rui is also back in the top 10 with few more points today. We had a fantastic day here in Namur, perfect weather and great organisation as we have come to expect from Denis, Florian and their team. Thanks to Doug Hall for his help on the FB live and working with Carel to show Namur in all its glory. 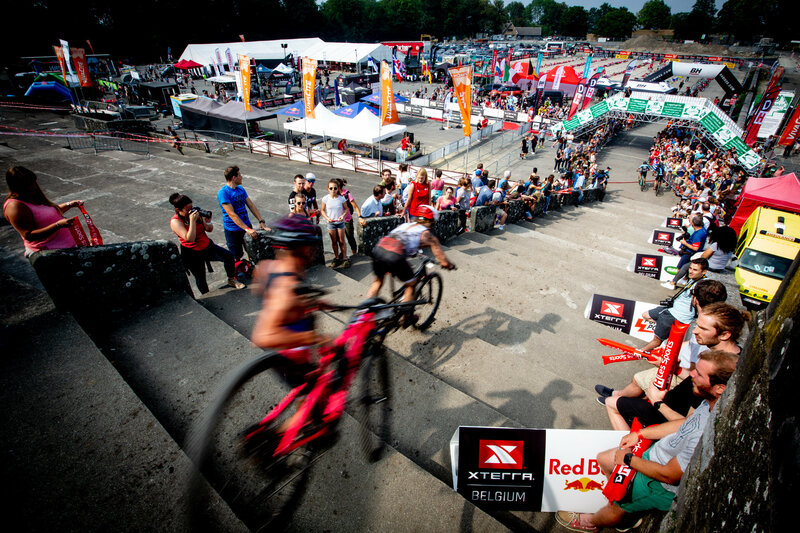 See you in 2 weeks at XTERRA Switzerland and the beautiful Vallee de Joux, for the 7th stop of the 2018 XTERRA European Tour. 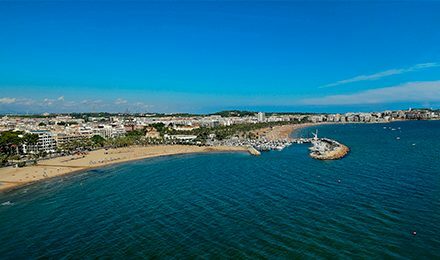 Plan your triathlon season with Challenge Salou! 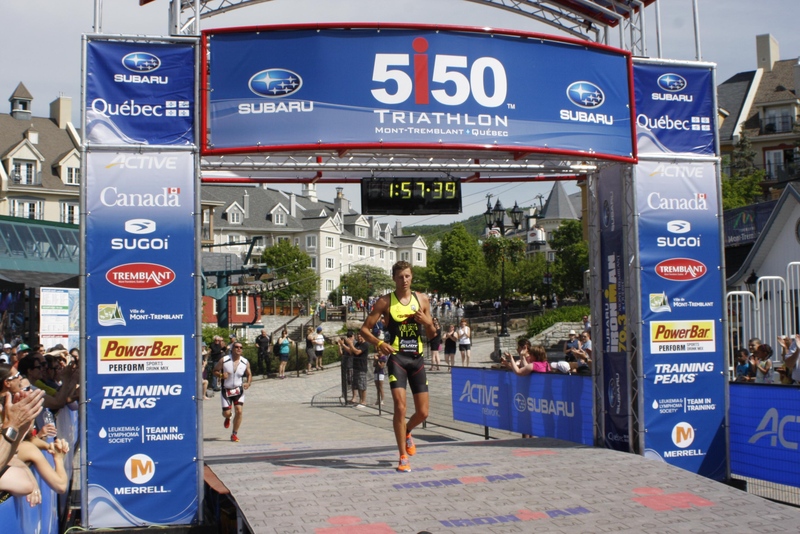 Rodolphe Von Berg : The strong Italian triathlete returns to Europe during the College Summer break and will participate in 3 ITU Continental Cup races.